RJ Rockers Brewing Company is a beer brewing company based in Spartanburg, South Carolina, founded in 1997 by current owner/brewer, Mark R. Johnsen. The company is considered a microbrewery meaning it has an annual production of less than 15,000 barrels. The company began as a brewpub on Morgan Square in downtown Spartanburg, but in 2002 Johnsen decided to leave the restaurant business and concentrate solely on producing craft beer. Johnsen soon relocated his 10 barrel brewing system to a Spartanburg industrial park off of the Interstate 85 Business Loop. 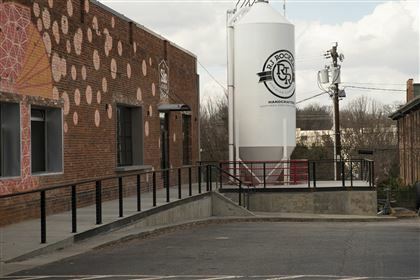 This location reached full capacity after the company experienced 92% growth in 2008, and in February 2009 RJ Rockers Brewing Company leased a building in downtown Spartanburg's west end that was formerly occupied by The Salvation Army. The 46,000-square-foot (4,300 m2) facility features a 30 barrel brewing system with an annual capacity of 18,000 barrels. Click here for additional info.